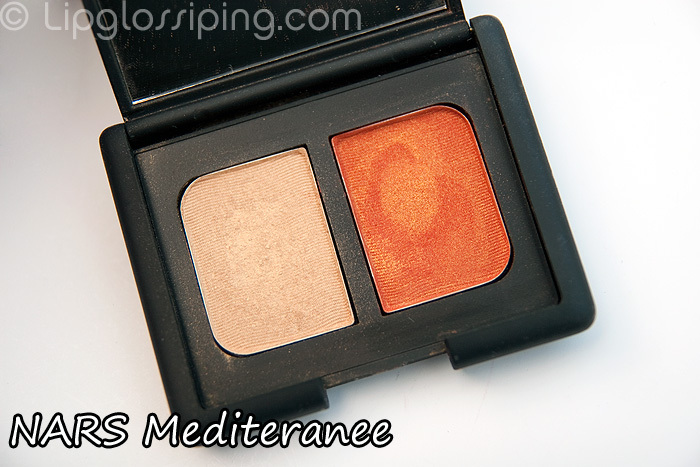 I was reminded of my NARS Mediteranee (£23) duo yesterday when talking about neon orange eyeshadow. This isn’t neon… but it is bright. 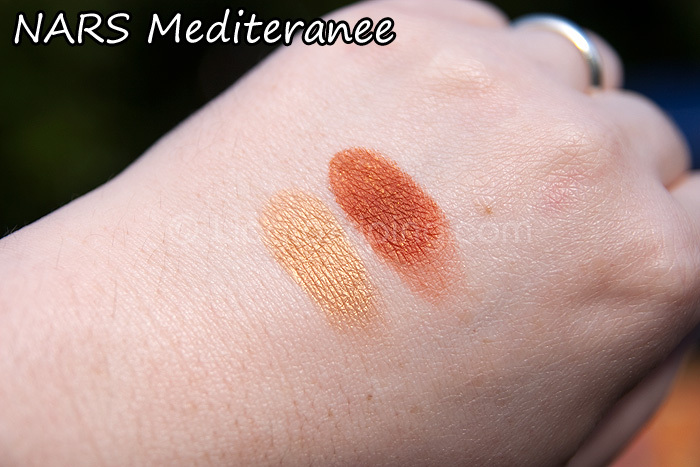 My NARS Mediteranee duo also happens to be one of the most buttery shadows I’ve ever had the pleasure to swatch (esp the orange half). I adore it, but do have to use with an incredibly light hand thanks to it’s immense pigmentation! It’s a wonderful duo for darker and olive-toned girls but I was determined to make it work for me too. The warm tones really bring out the green in my eyes. I’m wearing a tiny amount of the orange in this FOTD… just a speck and then dragged out towards the end of my eyebrow. I think it’s probably the brightest eye shadow I own. What’s your favourite Summer bright? I used to think I could easily wear an orangey coppery shadow. Then I got a Smashbox quad which contained an orange of the aforementioned hue. Slapped it on, blended it in and I looked ILL. It made my lids look really droopy and from that day onwards, I’ve sworn off orange shadows. The colour looks GORGEOUS in the pan, just like the NARS one, it looks gorgeous swatched on a hand, just like the NARS one..it’s when I put it on my eyelids that things take a turn for the worst. This duo is very pretty. orange is swexy! ill have to go snoop on it! this is pure gorgeousness. absolutely gorgeous. I would have called this duo ‘safran’ or something. this coppery orange is to die for. Anyone else share my frustration? I have it and use it regularly. Not the brightest color I own. I love bright colors. Ben Nye’s yellow is awesome. Forgot the name but think its Sunshine. If you like bright eyeliners try La Splash’s liquid eyeliners. They are bright and fun. I like that- looks lovely on the FOTD. I find that orange and copper shades really bring out the blue in my eyes- think they’re somewhere opposite on the colour wheel?? I’m into shades like that at the mo, the Sleek Sunset palette has lovely warm shades that don’t seem too autumnal for me, they’re looking nice for summer. That’s so pretty!!! A FOTD quick! Oooh, nice colors! I keep hearing great stuff about Nars and their application and pigmentation. I should probably go get myself some.